Jidai(era) : Early Edo period. Special feature: Teijyo is the first son of Kenjyo and was born in Keicho 8th year in Kyoto. He has inherited Second Generation Goto Rihe and later on brought up Kaga Goto School metal worker when he was under Kaga Kanazawa Domain. 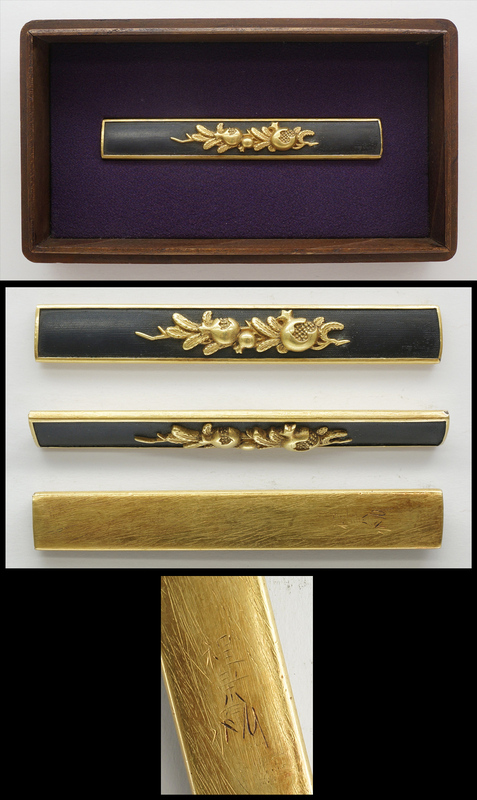 This piece is Shakudo nanakoji plate with pomegranate design engraved and inlaid with gold Suemon style. It is smooth and bright gold inlay work.